Interview: Maja Shining of FOREVER STILL – Spotlight Report "The Best Entertainment Website in Oz"
This time we interview the front woman of alternative metal group Forever Still – Maja Shining ahead of the bands second full length album release titled Breathe in Colours which is coming out on March 29th via Nuclear Blast Records set heavily around cyber punk themes and dystopian future, it is simply mind blowing from start to finish, keep your eye on this band, they are gonna go far! Your second album “Breathe in Colours” is being released March 29, tell me a bit about it. We’ve been working on it for quite some time, we made an album with no compromises on our end, and we’re excited to get it out there! You have some music videos already out for the songs “Breathe in Colours” and “Rew1nd”, do you have any more music videos being released? We have one that has just come out titled IS IT GONE which is the new single off the album. We discussed it with the label and all agreed it was a powerful song. Tell us a bit about the music videos production. Well, I went to Germany without my boys, so it was different than the typical band video. It was quite a different song and very vocal based, we just thought it worked and it took off from there. Can you tell me a little bit about the themes in your music of government mega corporation control, and the cyber punk future? Well it was mainly inspired by looking out on the world now at all those things we see in the news and the media. Our climate is really doing terribly and there’s so much corruption going on, they’ve gotten so big that no one can tell them no. So that draws a lot of inspiration for the album, but there’s still a very positive message for the album which is ‘Breathe in Colors’. There is still a lot of colour in the world. How do you successfully tie those themes into your music so well? Steering away from the deep, how would you describe your sound to first time listeners? It’s so hard putting it into words, well I think for people who have never listened to us before; simply put we are a modern rock band. We have so many different musical inspirations, some are more rock influenced and others are at times more pop, and then there are even more djent inspired riffs. When are you guys thinking of coming over to Australia, any festival opportunities? Like any other band I want to say we will come over tomorrow, we want to meet people, for now I know 2019 is probably going to be focused on Europe, we’re from Copenhagen, Denmark, but we will get there! What is it that you like about the music that you create? It’s deeply rooted in personal emotion and experience. The reason I write vocal melodies is because… it is deeply rooted in something you can actually feel. When I was a young teenager I loved singing but I didn’t really know what to do with it… Writing your own music is something special. 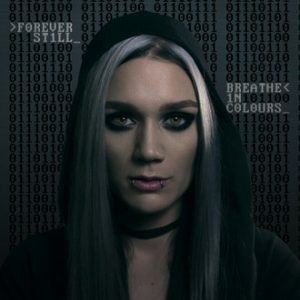 Be sure to check out Forever Stills new album Breathe In Colours Out March 29th it’s wicked, with some heavy djenty moments in the mix and great cyber future themes also mixed in with killer vocals and instrumentation, we can’t wait ‘til they tour down under!